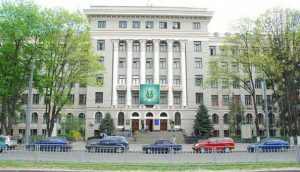 The Degree (MBBS, BDS, MD, MDS, MS, NURSING) of the Kharkov National Medical University (KNMU) is prestigious and recognized in many countries of the world. Among former graduates of the University there are ministers and members of parliaments in various countries, outstanding scientists and famous specialists who founded their own clinics abroad. Within the period of their studies the students undergo academic training in main medical specialties. They take part in examinations of patients, giving urgent aid, work at X-ray rooms, clinical and biochemical laboratories. Particular attention is paid to clinical rounds of patients, their management, filling in and arrangement of case histories with their subsequent analysis. Clinical and theoretical training of the students is performed at 56 departments of the University and the best clinics of Kharkiv with use of modern medical diagnostic and therapeutically equipment, computed provision of the academic process, a wide use of audio and video aids. Foreign students of Kharkiv National Medical University study at the 5th Faculty for Training Foreign Students (Russian medium) and at the 6th Faculty for Training Foreign Students (English medium), as well at the Preparatory Department, or undergo postgraduate and clinical postgraduate (residency) courses (Licence of the Ministry of Education and Science of Ukraine AB No. 552643). Kh NMU has created all conditions for improving the professional level in the specialities acquired. The University departments have modern diagnostic and medical equipment and laboratories for researches. The most popular specialities include Surgery, Ophthalmology, Traumatology and Orthopaedics, Urology, Obstetrics and Gynaecology, etc. Each specialist, who has finished his/her clinical postgraduate course, is awarded a Certificate of Specialized Training in Medical (Residency) according to international standards and a Transcript to the above Certificate with indication of the numbers of hours in the studied subjects and grades for them. This Certificate gives the right to carry out all works, which are related to the speciality acquired. The Medical course at KNMU takes six years and leads to MD (Doctor of Medical) or MBBS. Admission to the medical faculty takes place after conclusion of a contract. Foreigners learn in group of eight to ten along with other international students. The second year students attend their clinical studies where they can gain experience in nursing the patients. Clinical subjects are taught beginning from the third year of study. The successful students who will complete study of six years, will be awarded medical degree after passing the state exams. There is a wide range of specialization available in the public and private sectors, involving research, academic medicine, public health, clinical medicine and other areas. Specialties include Cardiology, Oncology, Pediatrics, Psychological Medical, Surgery, Pathology, Public Health, General Practice and many others. Most doctors complete postgraduate training in their chosen specialty. Medical is a respected, rewarding, and truly international career. For the entry requirements please visit the Rules of admission page. Every student studying at KNMU undergoes one year of clinical rotations in subjects such as Internal medicine, pediatrics, surgery, obstetrics and gynecology and other additive subjects during their final year of education. 1. Eligibility requirement as mentioned by eligibility certificate regulations of medical council of India. 2. Higher secondary certificate with physics, chemistry, biology and English as subjects. 4. Date of birth certificate.